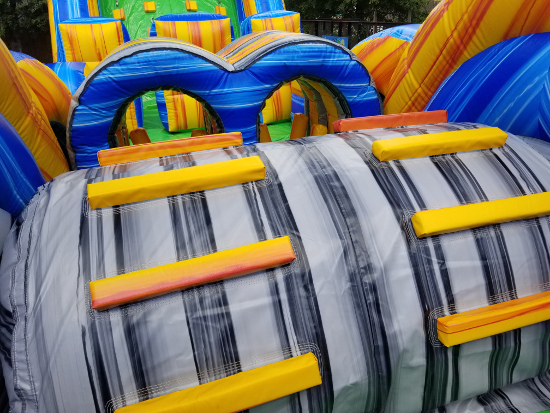 This version of our popular Radical Run features 65 feet of radical obstacles and a giant 16-foot-tall rock climb feature with a double lane slide. 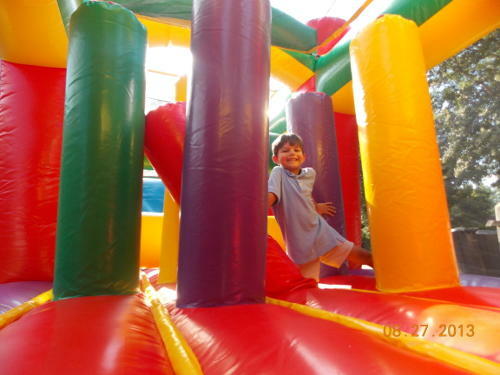 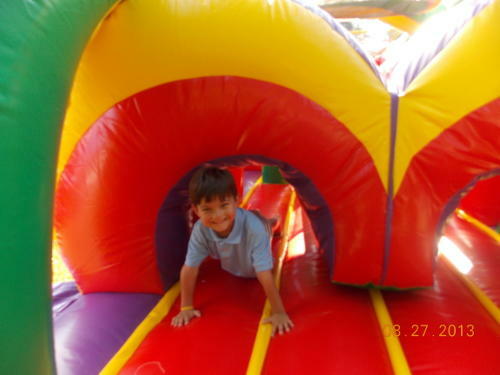 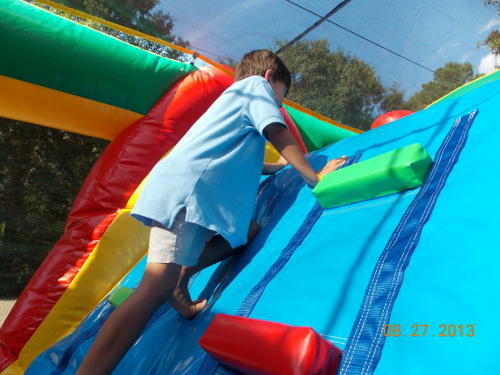 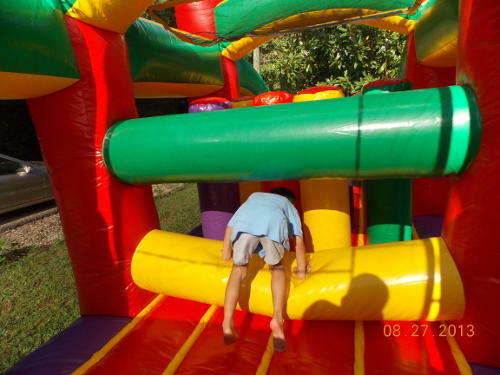 Participants are challenged with a wide variety of challenging obstacles such as tunnels, pop-ups, logs, sqeeze-throughs, climb-overs, and the two different slides. 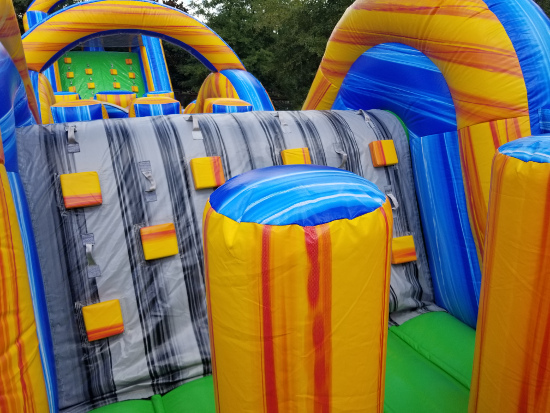 It also features the very unique person-shaped hole to jump through! 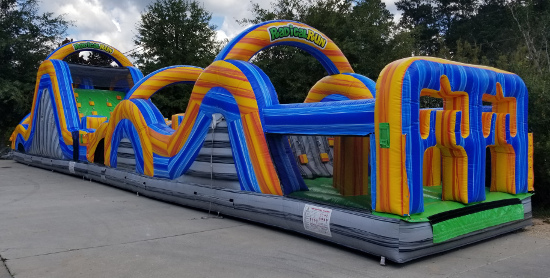 This is great choice for schools, churches, company picnics, neighborhood parties, or charity events, but can still fit in some backyards. 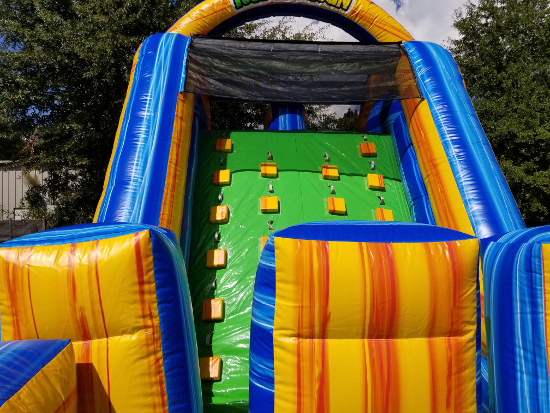 Setup Requirements: Approx 65' x 15' of flat ground with 16' overhead clearance and a two electrical outlets on seperate circuits.